A special honor to acknowledge the dedicated, energetic, and committed leadership of the FABBS and FABBS Foundation past Executive Director. 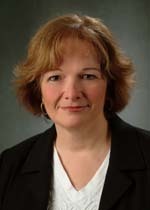 Barbara A. Wanchisen, Ph.D. has been the Executive Director of the Federation of Behavioral, Psychological, and Cognitive Sciences since 2001 and of the Foundation for the Advancement of Behavioral and Brain Sciences, which she was instrumental in founding, since 2004. During her tenure with the Federation she was instrumental in furthering our mission as an advocate for the brain, behavioral, psychological, and cognitive sciences. Her work helped form FABBS, influence important legislation such as the America COMPETES bill to include behavioral sciences, strengthen relationships with our scientific communities and federal organizations such as NIH and NSF, and initiate engaging educational programming. Previous to this post, Wanchisen was a full Professor in the Department of Psychology and Director of the Honors Program at Baldwin-Wallace College, near Cleveland, Ohio. In 2000, while on sabbatical leave, she served as Legislative Fellow to Congressman Dennis Kucinich in Washington, during which time she developed a strong interest in the governmental process. Dr. Wanchisen now moves on to act as the director of the Board on Behavioral, Cognitive and Sensory Sciences at the National Research Council’s Division of Behavioral and Social Sciences of the National Academies. Dr. Wanchisen received a B.A. in English and Philosophy from Bloomsburg University of Pennsylvania and an M.A. in English from Villanova University. She received her Ph.D. in Experimental Psychology from Temple University in 1986 under the direction of Philip N. Hineline. Her research focus was basic animal operant conditioning, primarily using rats and pigeons as subjects in assessing the effects of behavioral history on current behavior. She is a long-standing member of the Psychonomic Society, the Association for Behavior Analysis, and the American Psychological Association. In January 2004, she became a Fellow in Division 25 (Behavior Analysis) of the American Psychological Association. She has served on the editorial board of the Journal of the Experimental Analysis of Behavior and The Behavior Analyst while also serving as a guest reviewer for a number of other journals. Thanks to Dr. Jay McClelland and the boards of both FABBS and Fabbs for leading the effort to spread the word about honoring Dr. Wanchisen. Would you like to honor Dr. Wanchisen? It’s not too late to have your name added to the list of donors! You can make your donation to Dr. Wanchisen’s In Honor Of… campaign at anytime.